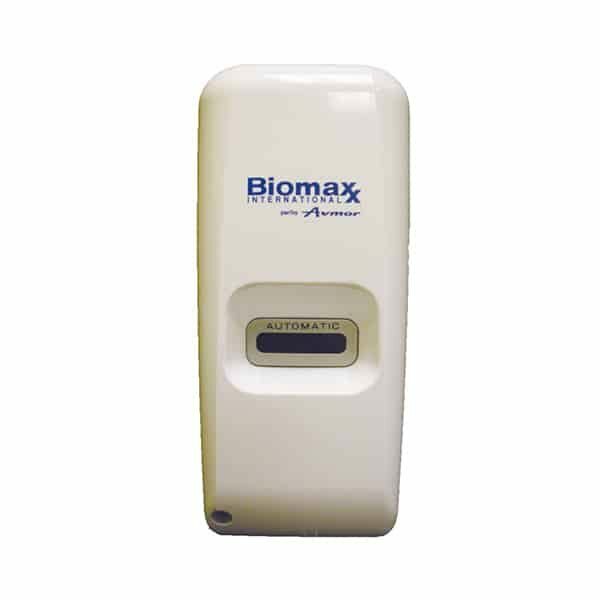 Infra red dispenser for Biomaxx bag-in-box soap and sanitizer. Activated by the wave of a hand. White color.